I save things that seem important: old photographs, records of the past I might want to revisit, writing that speaks to me. Sometimes I forget about these saved things for years and then come upon them by happenstance while looking for something else. As was the case yesterday when I was rummaging around in the front drawer of my father’s French Provincial desk (a North Carolina copy, not an 18th century original), which is practically useless for real work but decorative enough to keep in the living room to put a lamp and framed family photographs on. (Also one of the cats likes napping on it in the evening.) Its thin middle drawer contains, among a few other folders and envelopes, a binder of articles that at one time or another I thought keepers — including a review by Joan Acocella of several books about psychiatry that appeared fourteen years ago in The New Yorker. (May 8, 2000 issue.) It was called “The Empty Couch: What is lost when psychiatry turns to drugs?” I had to drop everything I was doing and re-read it at once because, like Acocella, I am a member of the talk therapy generation. I have at times made fun of my years on the couch, or on an expensive chair — expensive in terms of hours sat on, not initial cost. Called myself the Queen of Therapy. (Woody Allen is King.) Have even dropped at least one light-hearted reference in this very blog to “the Hungarian,” the first of the two shrinks who you could say — not quite literally but not exactly metaphorically either — saved my life. He was the one who called me “honeybunch,” which may not have been quite in keeping with the ethics of the profession, but was what I then certainly needed to hear from somebody. Like many things in my life, and in the lives of others who have lived as long as I have, talk therapy seems to be on the way out. It is time-consuming, expensive, participatory — and to those who haven’t experienced it (or haven’t paid for it out of pocket, as most of us in the old days did, going without other things to afford it), it may seem self-indulgent and too self-referential. Medication, by contrast, is a quick fix for symptoms, once the doc figures out the formula that works. Moreover, insurance companies love the biomedical approach: one, two, three and skidoo — out into the world again, seemingly good as new. And what insurance companies love (and pay for) is what insureds get. For many people of my generation, especially women, psychotherapy is not so much an issue as a history, a language in which they learned to speak of themselves, and of life. This fact has been widely deplored. Psychotherapy, people say, has taught women to think of themselves as victims. It has made them narcissistic, turned them in on their own minds rather than out into the world, where the men seem to be living. True enough, of some therapies. In others women — and men — have learned to stop being victims and to act in the world…..
And when it is good, it is something hard to find in life, a moral dialogue. [One of the writers reviewed says of one of her therapists that with him talk] “was not only the means to a therapeutic end, but … the central source of moral meaning itself.” …. [T]he truth is that a talk about moral meaning cannot not be therapeutic, if by therapy we mean not just symptom relief but a chance for a serious life. The italics at the end are mine. I like to laugh as much as the next person, but I have never wanted to be numbed into accepting what was, when what was was of my own making. You can choose to swallow something someone gives you, not feel the pain, and giggle. Or you can demand the right to struggle against your own refusals. Life is difficult, but if you choose not to experience it, not to work your way through the difficulties — can you say you’ve really lived? BEING JEWISH. Berta Isaakovna’s two pre-marital conversions seem to have been concessions to the requirements of her husbands, without spiritual content. Whatever Vladimir Vainschtain might have offered had he lived, there was no religious instruction in my mother’s life. No attendance at synagogue. No ritual holiday celebrations. No prayers. No belief in God. At some point after I began to read, I learned from the books my mother purchased for me and also regularly checked out of the childrens’ library that other children said prayers at night. I thought that might be a good thing to do and asked my mother, then the source of all wisdom, how to pray. From a colored illustration of Christopher Robin at bedtime in my copy of A.A. Milne’s “When We Were Very Young,” I knew that you got down on your knees by the side of the bed, put your palms together, fingers pointing upward, lowered your head, closed your eyes, and addressed yourself to God. But who was God? “A kind of spirit,” said my mother, trying to be helpful. It wasn’t helpful at all. And what did you say to God? “Whatever you like,” said my mother. There was nothing in particular I wanted to say. I felt foolish on my knees beside the bed. And it was much warmer, and more comforting, under the covers. I soon gave up the experiment. The papers with which she left Baku in 1922 declared my mother to be “Juive.” She regarded this classification of herself as being a mark of Cain, singling her out for bad luck and unfair treatment, and certainly nothing to advertise. It brought her no spiritual solace, no community, no source of help in troubled times. Irrespective of what she said to me about God and prayers when I asked her, she always believed in surviving on your own, no matter how difficult the problem or situation. No recourse to higher powers. “We’ll get by somehow,” she would say. With a sigh. LISA. Her cousin Lisa arrived in my mother’s life shortly after the separation from her own mother. 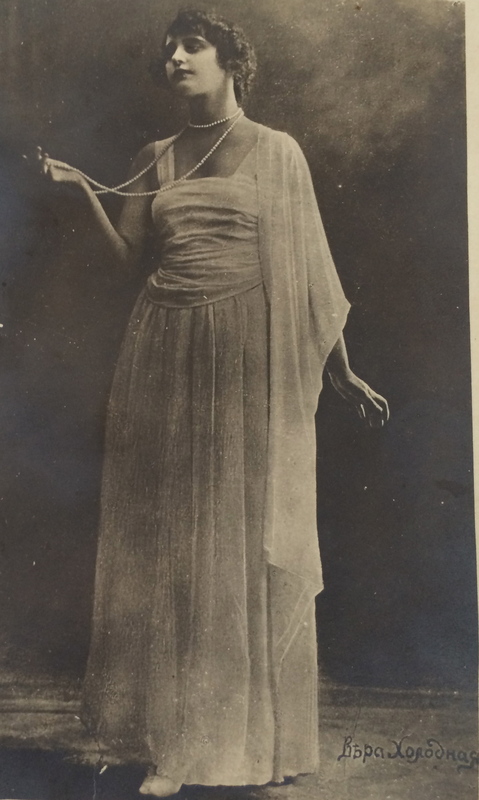 She must have been Berta Isaakovna’s niece, as she seems not to have been connected to the married half-sister. Always referred to by my mother as “my cousin Lisa,” she had been at what my mother called “finishing school” in Switzerland when war broke out. Somehow she managed to get back to Russia and came to live in Baku. I have the impression she stayed with or near Berta Isaakovna, at least for a while. She would have been seventeen or so when my mother, aged ten or eleven, first met her, and she made such a strong impression that I may have heard more from my mother about this idolized — and idealized? — young woman than I ever heard about herself. Listening to all this in the kitchen when I was thirteen and fourteen, usually when my mother was ironing and had time and some inclination to answer questions, I had mixed feelings about her cousin Lisa. I wanted to have what she had had, as perhaps my mother had also wanted it — finishing school, languages, horseback riding, charisma, sense of ease in the world. Lisa even had a romantic older brother, who had converted — ah, those convenient conversions in the Shulman family! — and become a Cossack. He was attached to the Imperial Family, and fell in love with the Grand Duchess Tatiana, one of the Czar’s four young daughters. When his love letters to her were discovered, he had to be smuggled out of the country in a haycart! 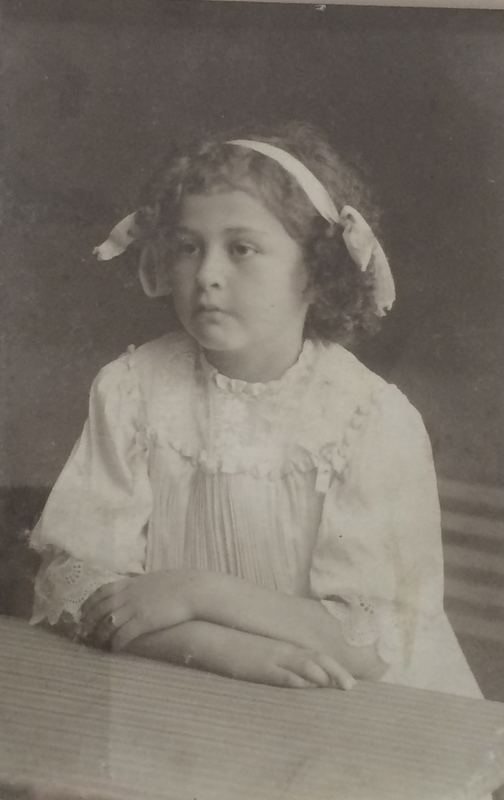 Then Lisa and husband went away, to wherever he had come from, and there was in due time a little daughter whose photograph at age six or seven, with a big bow in her hair, Berta Isaakovna mailed after my mother had come to America. The daughter didn’t look “Turkish” at all. Maybe when I grew up, we could go to Turkey and I could meet Lisa? No, my mother told me. Lisa was dead. Of tuberculosis. How old had she been? Twenty-eight. 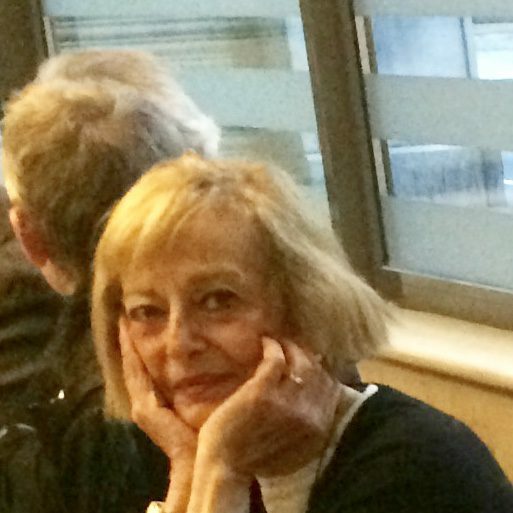 It’s possible my mother had no close woman friend during the rest of her long life in part because no one else could ever measure up to her cousin Lisa. Even in my early teens, this violent fissure in her childhood sounded awful to me. Had her mother taken her and her brother away because of the war? What had her father died of? Was this an answer? Had he died of a heart attack? Cancer? And why had her mother chosen to go to Baku — so far south on the Caspian Sea? It was exasperating. But at thirteen and fourteen, I didn’t know enough to ask more. And at ten, she probably hadn’t understood enough of what was happening to be able to explain, even if I had known what more to ask. Now I wonder why Berta Isaakovna could not have remained in Vilna. Had the property been sold and the proceeds divided between the widow and all the children under the terms of Vladimir’s will? Did he leave it to a grown son by his first wife, who knew how to run the business? (Was there such a son?) Did he hold the land and house as a life estate, which terminated at his death? Had he merely rented the land and house? Or was war already rumbling on the border when he passed away, so that his widow snatched up her children and traveled as far away from the front as she could, leaving the liquidation of her husband’s estate to his lawyers? This last hypothesis presupposes Berta Isaakovna as a woman who played it safe. The German army didn’t actually reach Vilna until 1915. 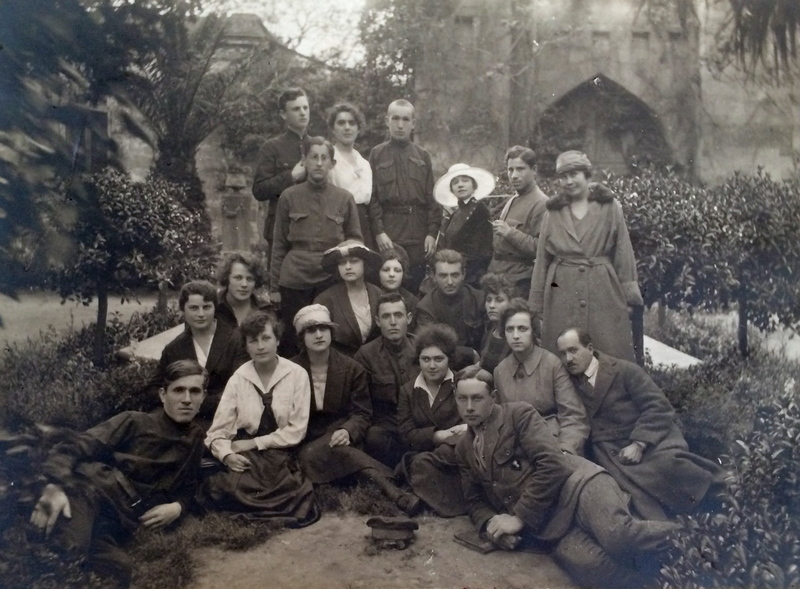 It’s true that between 1915 and 1918, when it was under German occupation, food shortages and discriminatory levies on the Jewish population in Vilna did make living conditions there increasingly difficult. 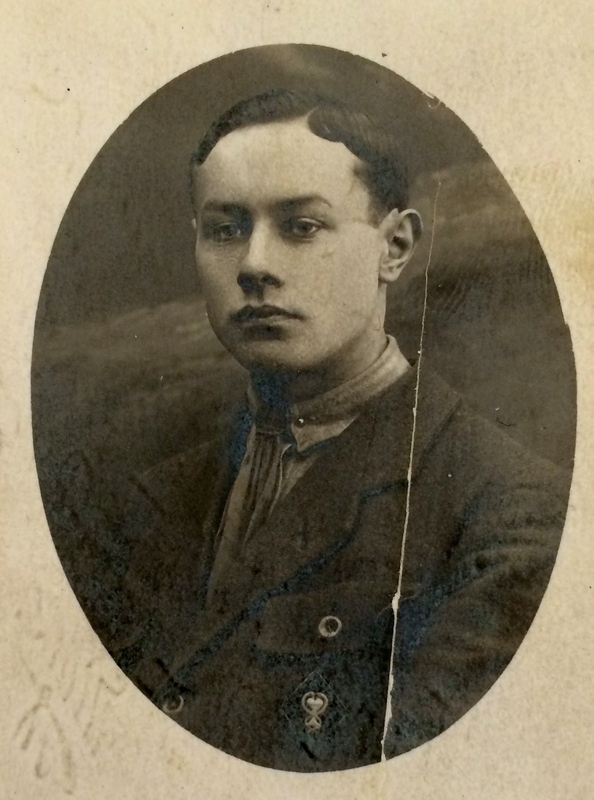 However, if Vladimir Vainschtain died when my mother was ten, then Berta Isaakovna left the area with her children in 1914, the year World War I began but a year prior to Vilna’s occupation by German troops. Irrespective of the real answer to the question of why mother and children moved south, which I will never know — for the little girl who was my mother it could have made no difference. All at once she lost her father, her home, her friends at school. These losses were soon compounded by another. Berta Isaakovna apparently now needed to work. 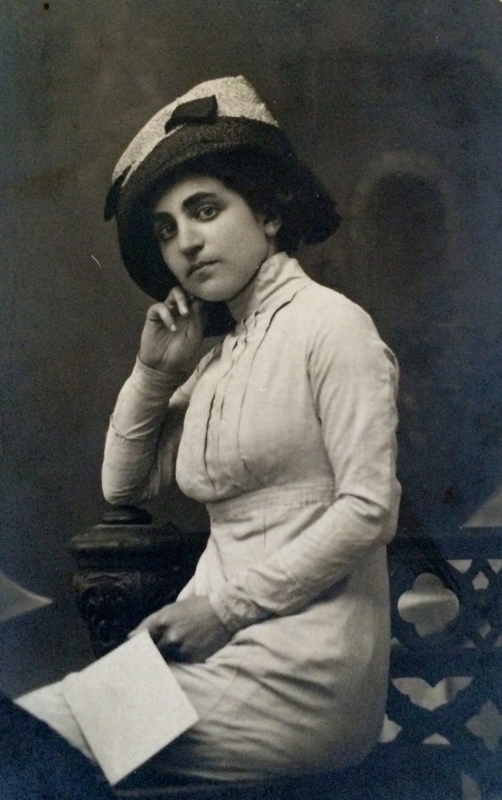 After reaching Baku, she entered a military hospital as a nurse, taking five-year-old Osia with her. Ten-year-old Meera, my mother, went to live with a married half-sister, so that she “could go to school.” It’s likely that she never again actually lived under the same roof with her mother. I don’t understand this. Osia would also have needed to go to school within a year or two of their arrival in Baku. If there was a school for him near this “military hospital,” why not one for my mother? Moreover, my mother remained in Baku until 1922, long after the conclusion of the war and even after the conclusion of fighting between the Red Army and the Whites. Why couldn’t Berta Isaakovna at some point thereafter have taken her daughter back to live with her? But there it is: as best I can tell, mother and daughter continued to live apart, although both in Baku, until my mother left for America. This separation may not have been quite as harsh as I first thought when I heard of it as a young girl, and as it still sounds when set down without qualification. At that time, I even imagined a wicked half-sister — rather like a wicked stepmother — and a resentful half-brother-in-law. And I now think it must have been true that the half-sister was very nice, for my mother took with her to America two pictures of a small, slender dark-haired young woman, aged about twenty-five, with heavy eyebrows and round dark eyes, who — by the process of elimination and laborious translation of the inscription on the back of one of the pictures — I conclude must have been this nameless half-sister. If I’m right, she was probably no more than thirteen or fourteen when her father married my grandmother — perhaps in part to provide her with a step-mother. She must therefore have been living at Vilna when my mother was born. Until her own marriage, she may also have been a kind of second “mama” to my mother. My grandmother’s choice of Baku as a destination after Vilna may thus have been specifically predicated on this young half-sister’s residence there with her new husband. 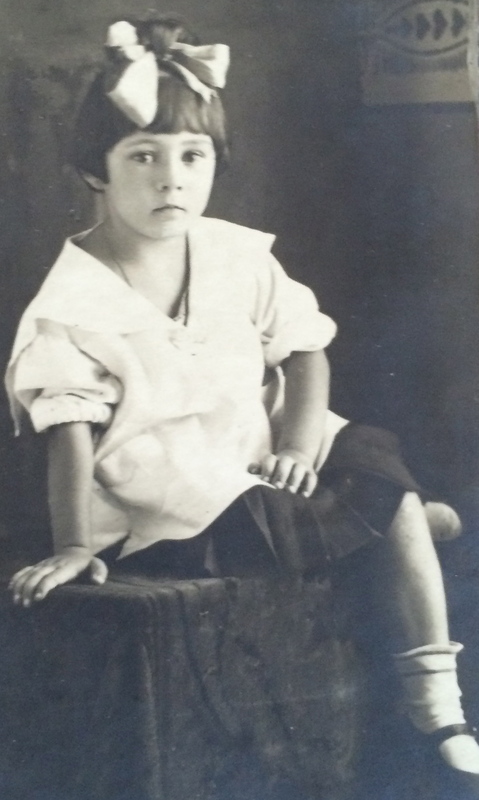 The second of the two photographs of this half-sister also includes (a) my mother, aged eleven or twelve, in a plain pinafore and blouse; (b) a little boy about six or seven who is probably Osia, because he is the right age and looks like photos of Osia when older sent to my mother after she came to America; and (c) another woman, seated, with a strong family resemblance to the half-sister but slightly older, whom I take to be a second half-sister. The two half-sisters look nothing like my mother or her brother, and therefore probably take after their own mother or else their father. 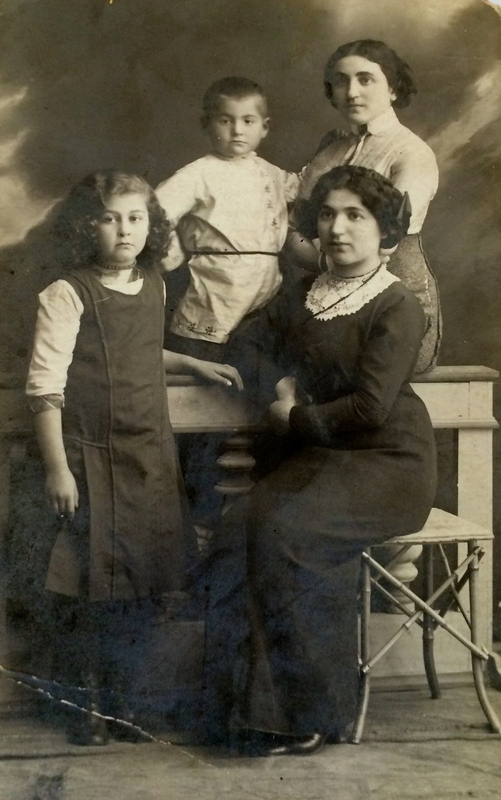 But this picture of brother, sister, and their two half-sisters may be what my mother considered her surviving family, since there was no separate photograph of Berta Isaakovna, her mother, in her effects after her death. Admittedly, this is all surmise. But I fear surmise is as good a recovery of the past as I am ever likely to get. About the half-sister’s husband I can say nothing, except that he seems to have made no objection to his wife’s little half-sister living under his roof for an open-ended period of time. I have some recollection of being told that he wasn’t there much. In the army? At thirteen, I didn’t think to ask more about him. Not surprisingly, my mother volunteered no confidences. When I was eleven (in 1942) — only a year older than my mother had been when her mother left her with her half-sister — my parents moved from Los Angeles back to New York, where we all three lived in a furnished apartment in Manhattan during the summer while they searched for an affordable unfurnished place near a “good” school district. What they found was in Kew Gardens, but the lease didn’t commence until after school began. So that I shouldn’t miss the first two weeks of seventh grade at P.S. 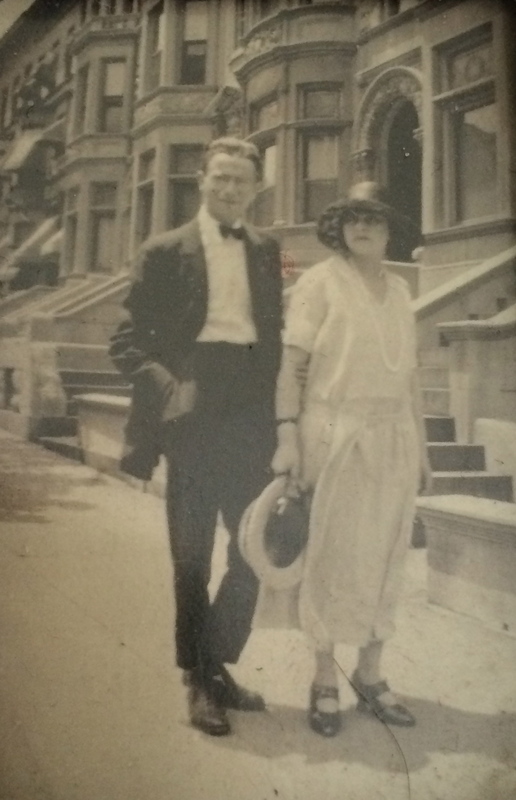 99, Queens, my father arranged with a colleague — a Dutch Jewish violinist who had managed to extricate his family from Europe just before World War II — to put me up on a folding cot in his daughter Betty’s room for the two weeks. Betty was about my age. Betty’s mother was pleasant to me. (Although she served stewed prunes and brown sugar on brown bread for breakfast and would not make hot cereal the way my own mother did, even when I asked.) I came home to my parents on Friday afternoon for the one intervening weekend of the two weeks. And my mother took the subway out to Queens two other evenings during each of the two weeks to have dinner with me in a neighborhood restaurant. But I missed her so much! I could hardly wait for her to come. When she finally rang the doorbell, I would fling my arms around her, my beautiful fragrant mother. And then, even while we were walking to the restaurant, and ordering, and eating, I would be counting the minutes I had left with her before she would have to go. It was all I could do to stifle the tears when she brought me back in time to get to bed when Betty did. And that was only for two weeks! However nice her married half-sister may have been, the effect on my mother of permanent separation from her own mother, at a time when she had already just sustained major loss and dislocation, was literally unspeakable. She simply did not speak of her mother, who was my grandmother. I don’t know what my grandmother looked like, what she did, or (with a single exception, to be recounted later) what she said. 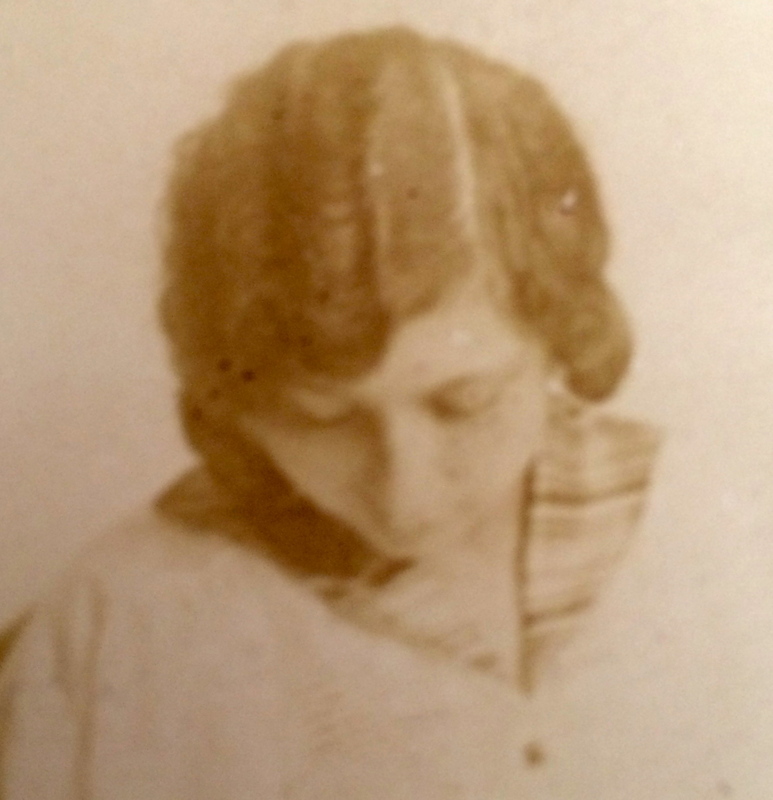 The one possible photograph of her remaining in my mother’s possession when she died — if it is a picture of her, and it may have been of an aunt, her mother’s sister, who would then have been her cousin Lisa’s mother — shows a large-bosomed woman who is looking down, so you cannot clearly see her face. If it is a likeness of my grandmother, it probably owes its survival to the fact that it is also a photograph of Lisa, whom my mother adored. At one time, I used to suppose this was a photo of my mother in her teens with my grandmother. But closer inspection of the photography studio’s mark in the lower right hand corner shows a date of ’14. 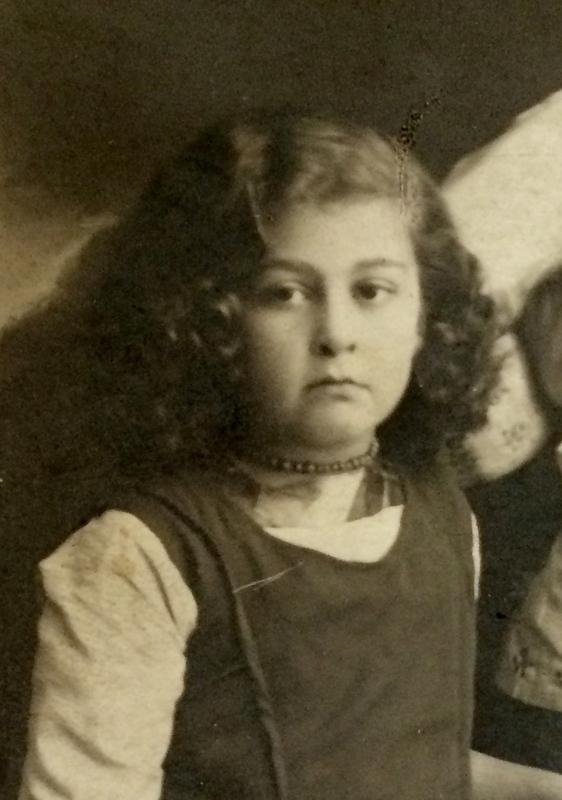 In 1914, my mother was ten, so the young girl in the photo cannot be her. 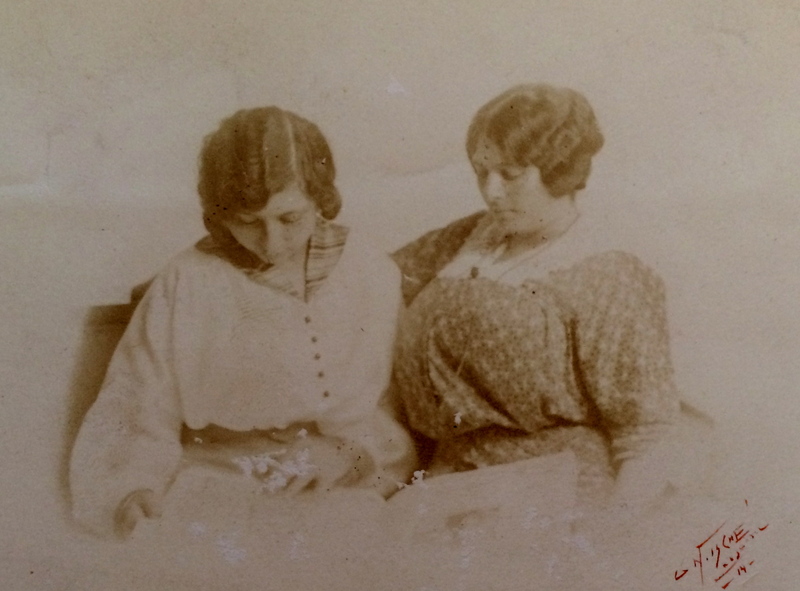 As the photo was important enough for her to put it in her luggage in 1922, I conclude it must be of the beloved Lisa, with either her own mother, or — less likely but possible — perhaps with her aunt, my grandmother. I know my grandmother and mother exchanged letters and some photographs from the time my mother left Russia until the Kirov purges in 1937, after which all correspondence between the Soviet Union and the United States abruptly ceased. But when my mother learned, through revived post-World War II correspondence from my father’s family, of her own mother’s death in 1942 — she threw out all her mother’s letters. And perhaps any photographs of her mother she still had. “How could you?” I cried when I learned — at the age of fifty-eight, long after the fact — what she had done. But once, when I was fifteen and my mother was in her early forties, deeply unhappy for a multitude of identifiable reasons (which would not have been the only reasons), and I sat in our sunken living room trying to escape her misery by reading, I saw her rise from her chair and almost run to her bedroom down the hall, where she began to cry, a thing I had never heard before. Her sobbing frightened me with its intensity. And then there broke from her a single word. “Mama!” It would have been about the time she found out that her mother had died.